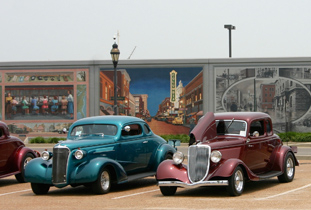 The River Tin Street Rods host the annual Riverfront Rod Run each June in Paducah! Held in Historic Downtown overlooking the Ohio River, the car show features more than 400 street rods(1948 & older modified antique cars), activities, dining and live entertainment. Open to all American made 1972 and older hot rods, customs, classics, muscle cars and all motorcycles.